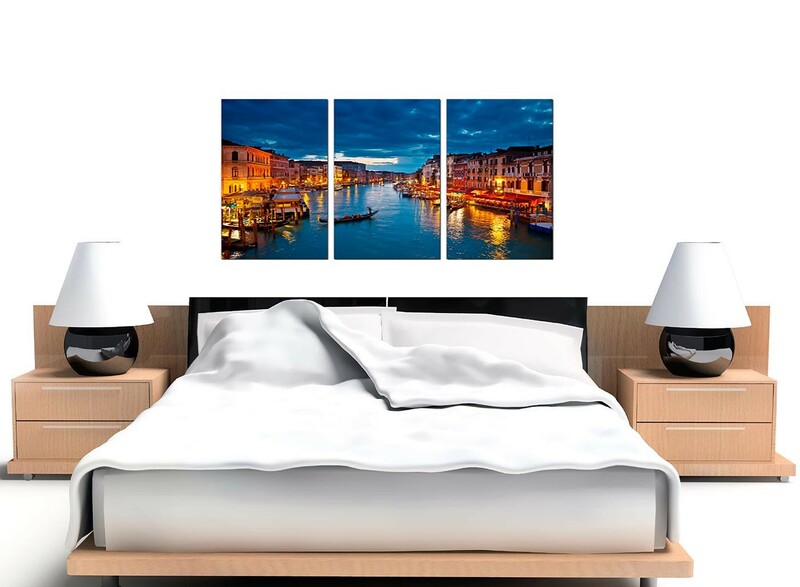 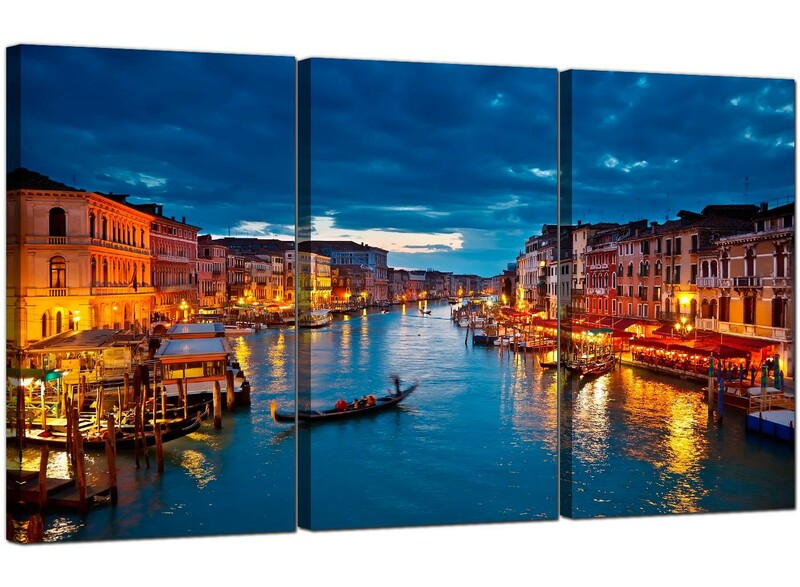 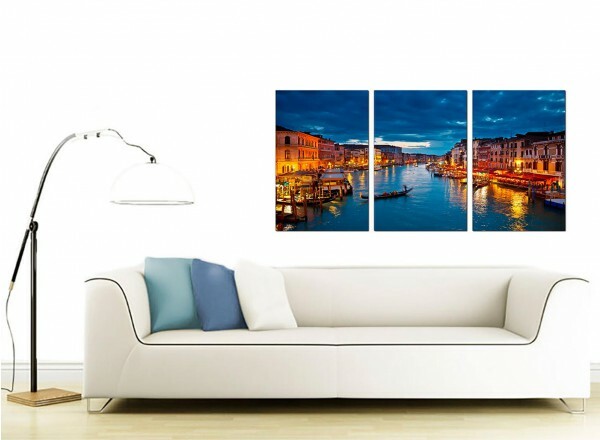 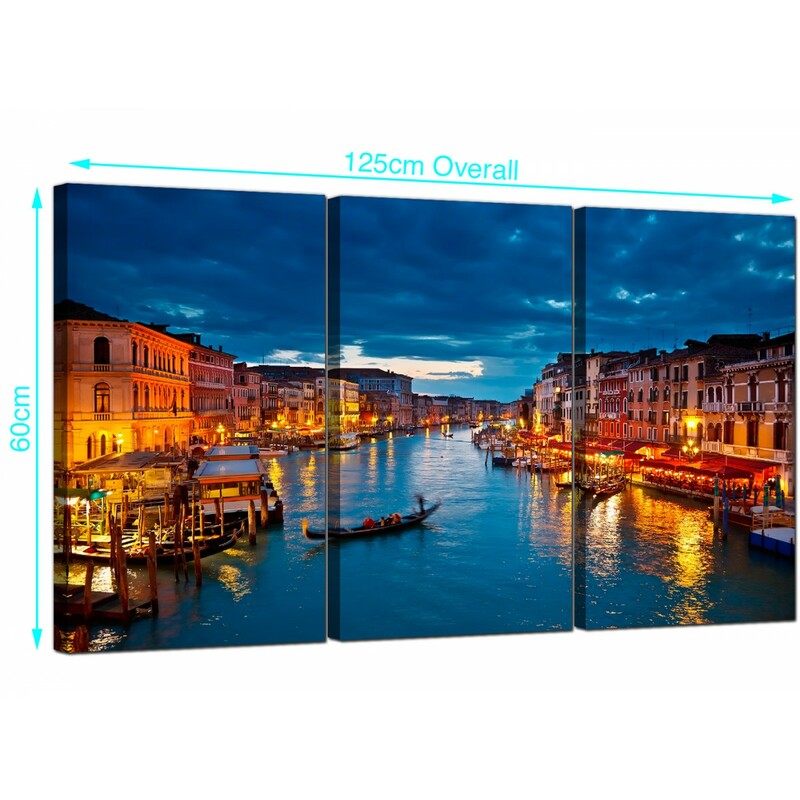 Inexpensive canvases to transport you a romantic Italian night on the Venetian canals. 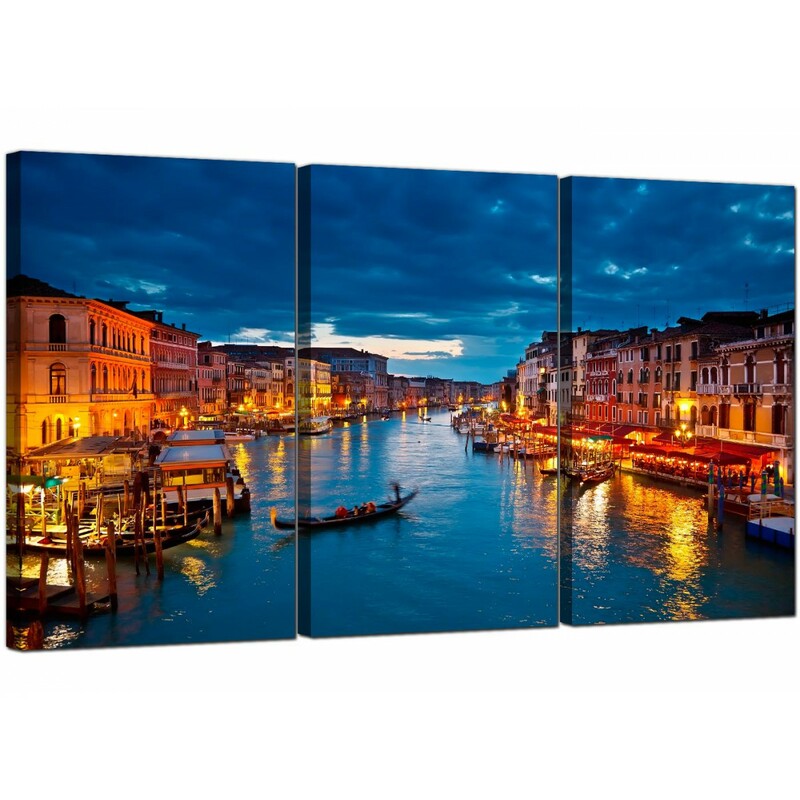 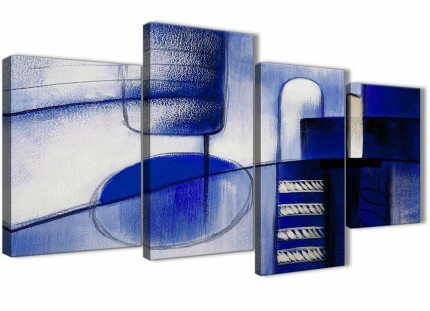 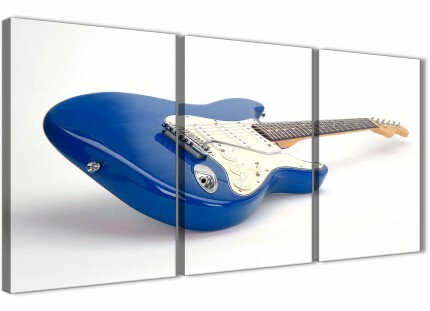 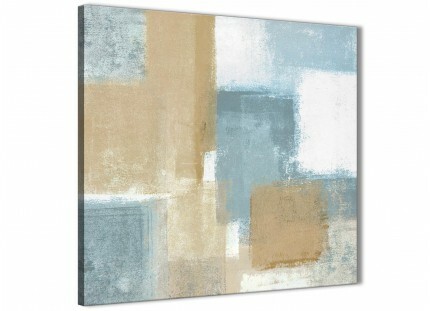 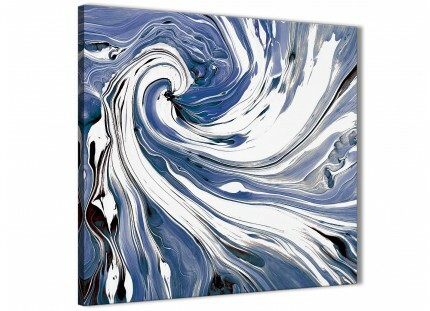 An extra large blue beautiful 3 panel set of canvas pictures. 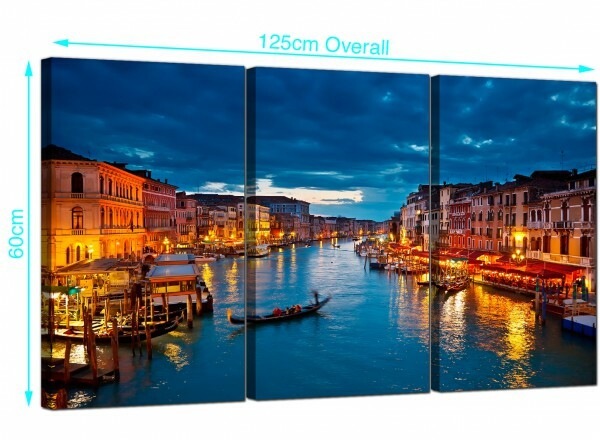 The United Kindom's favourite canvas art gallery. 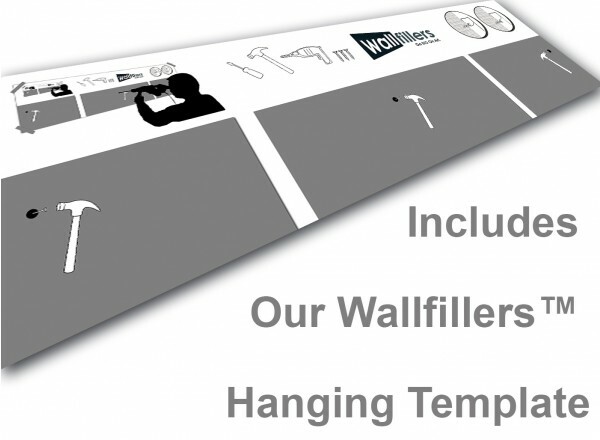 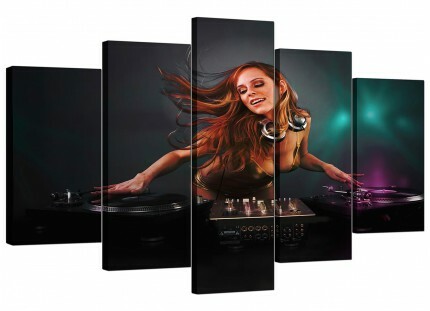 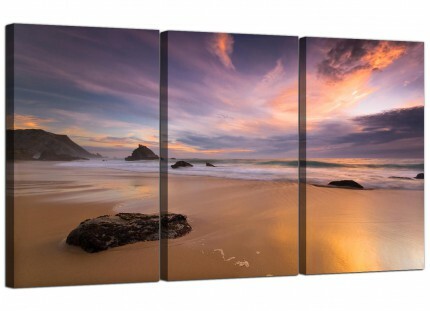 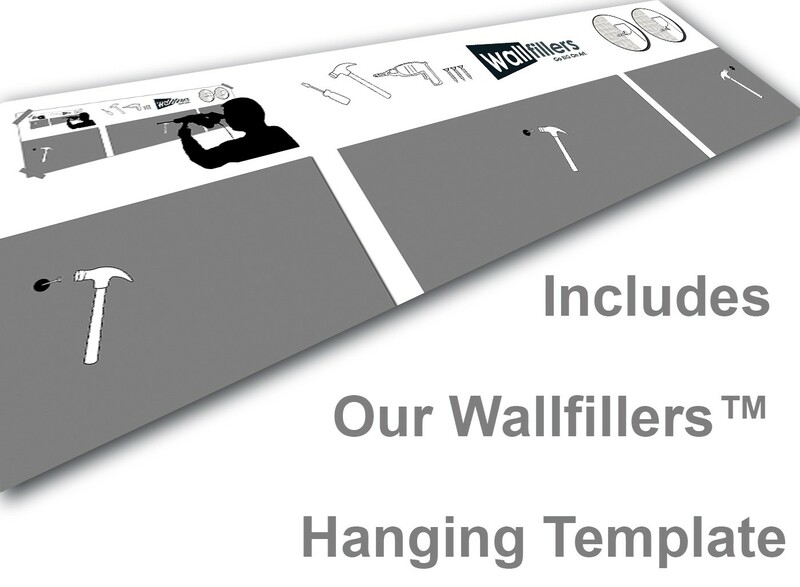 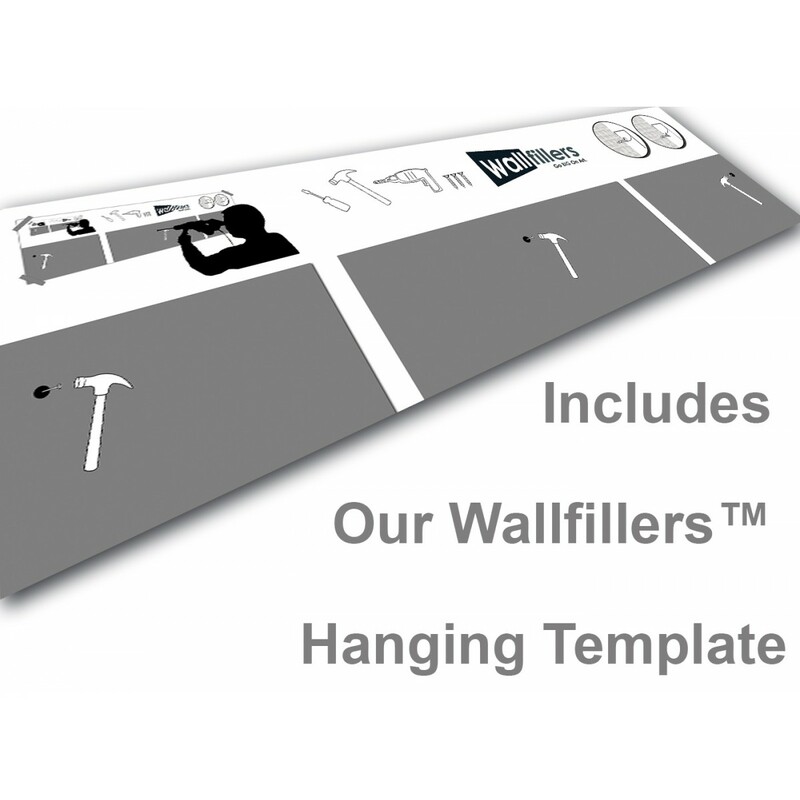 Canvas sets are manufactured in top quality with with fade resistant inks. 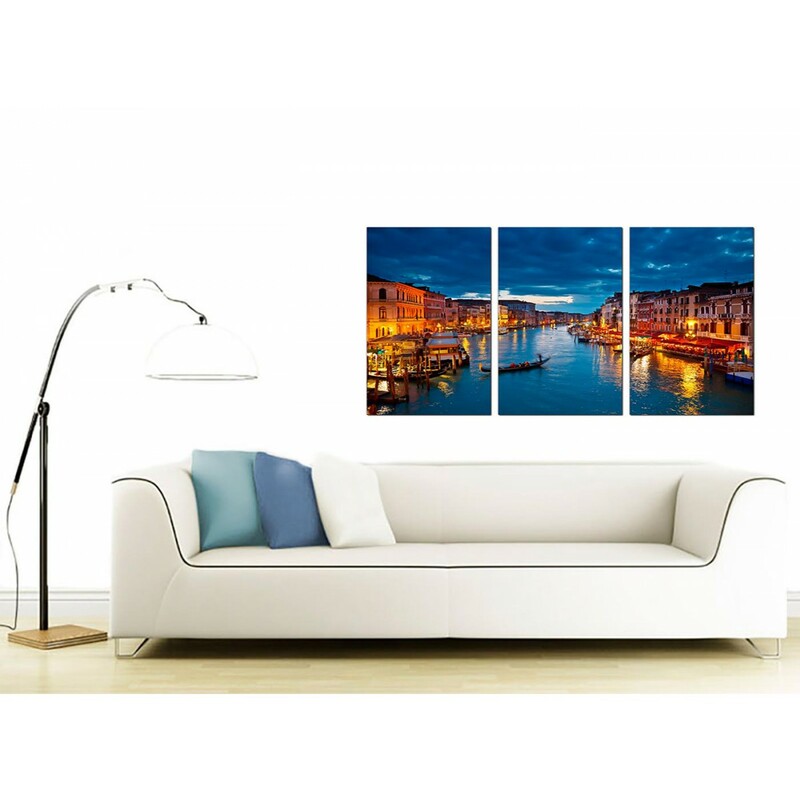 Ideal length for over your sofa. Proportions: 49" inch x 24"inch including gaps.